Millions of people have had their lives impacted by the encouraging words of Sarah Young in the best selling, 365-day devotional, Jesus Calling®. 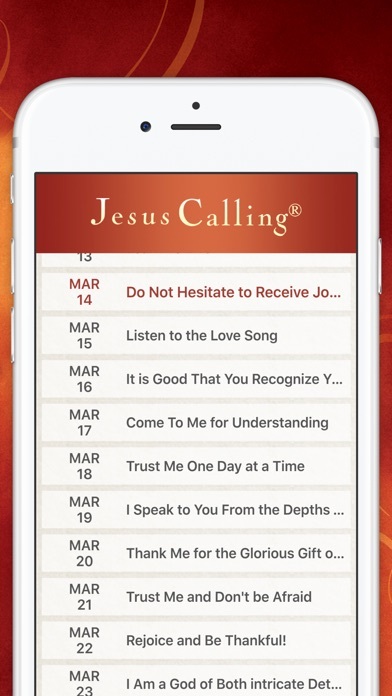 The Jesus Calling App is the mobile version of the time-tested classic packed with digital features that make this daily devotional more accessible than ever: -Full devotional text and fully written-out Scriptures -Search by keyword, date, topic, and verse -Share excerpts on social media sites (***please note: copying and sharing are limited to 300 characters due to copyright laws. We apologize for any inconvenience this causes. 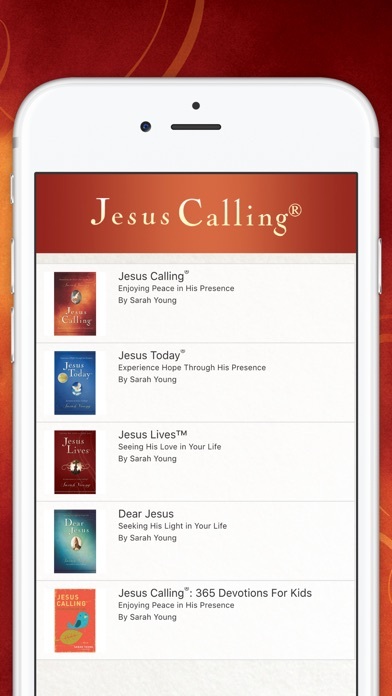 ***) -Keep notes for each devotional -Shop for other products by Sarah Young -Gift the app to a friend Experience peace in the presence of the Savior who is closer than you can imagine. A rich relationship with Jesus is so much more than presenting Him with a list of requests. It includes listening—through reading the Bible and receiving His love for you. 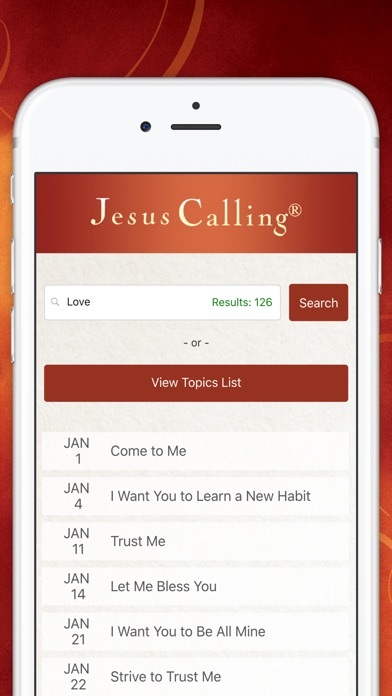 The #1 bestselling 365-day devotional Jesus Calling® is written as if Jesus Himself is speaking directly to you—words of encouragement, comfort, and reassurance of His unending love. 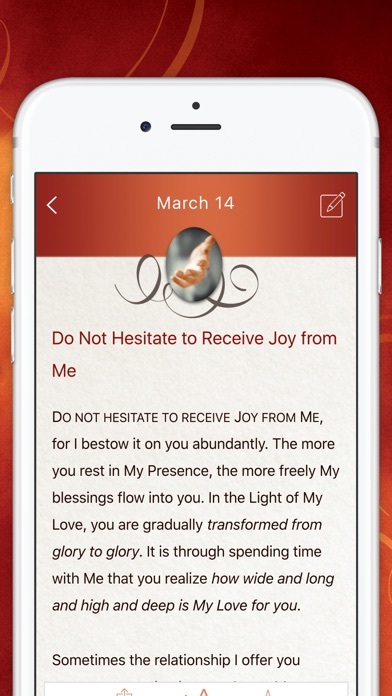 In this devotional app, Sarah Young shares her own prayer journal with you. These writings are personal reflections based on Jesus’ own words of hope, guidance, and peace within Scripture—penned by one who loves Him and reveres His Word. As you experience the devotions and the fresh look at Scripture, you will look forward to your time with Him. Experience a deeper relationship with the Lord as you savor the presence of the One who will never leave you. I have had this app and audio for quite a while and I have found it it to be WONDERFUL! I have shared it with many of my family and friends! The audio is excellent!!! Well worth the purchase!!!!! More convenient and less expensive than my physical copy! 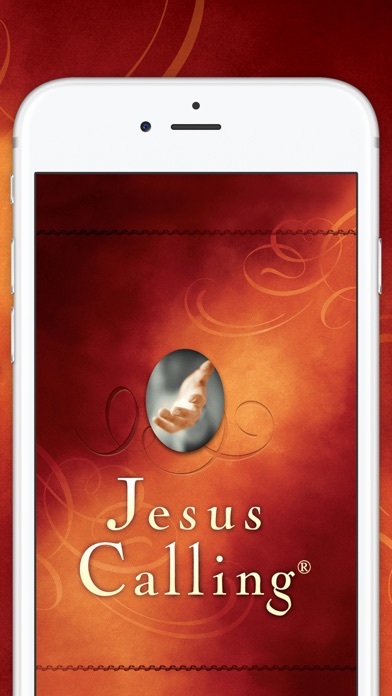 If you want to know the true and gentle voice of Jesus you must read this book or have this app. We often fear the mighty power of God so much that we fear getting close to His son. Before you decide how you feel about God... Learn how God feels about you. Beautiful Kind amazing Jesus. I’ve worn out the hardback book, so now I use the app version when I travel. Wonderful. Would love to be able to highlight text. I love being able to read daily wherever I an and whenever I need a reminder from Him that he's always with me. I'd love a similar App for Jesus Always. When I open the app it is just a white screen. I've always loved this app but now it's useless. Feel like my money was wasted. Please help. Jesus Calling is one of the absolute best devotionals available. This devo continues to improve my life daily! I have the book in several forms but love the app for travel.